Parveg Ahmed is identified as a U.S. naturalized citizen from Bangladesh. Parveg Ahmed, 22, of New York City’s Queens County, was nabbed after he flew from New York to Saudi Arabia and then tried to enter Syria, law enforcement officials, according to a U.S. Justice Department report on Tuesday. Ahmad was captured just as he was headed to the Syrian border. After the FBI-NYPD Joint Terrorism Task Forces obtained a search warrant for the suspect’s personal computer in July they discovered that he had been listening to Internet messages from radical Islamic terrorist organizations. One of the recordings was from Abdullah el-Faisal, a Jamaican born cleric in the United Kingdom who was found guilty of solicitation to commit murder. In addition, a cell phone search warrant turned up messages Ahmed sent to people expressing his intentions to travel to Islamic State of Iraq and Syria (ISIS) controlled territory. There was also a message revealing his plans to join ISIS in Syria and to wage war against a coalition of President Bashar al-Assad’s regime, the Shi’ite terrorist network Hezbollah, Russian military and others fighting Sunni Muslim groups. 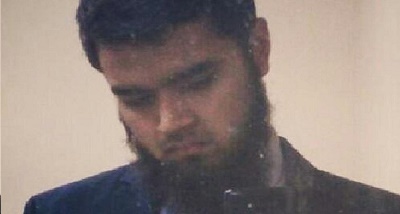 His browser history also turned up research of maps of ISIS controlled locations, according to the DoJ..
Ahmed was officially charged with the federal crime of attempting to provide material support for groups involved in terrorism. He was scheduled to make his initial appearance before United States Magistrate Judge James Orenstein of the federal court in Brooklyn, New York, on Wednesday, August 30. 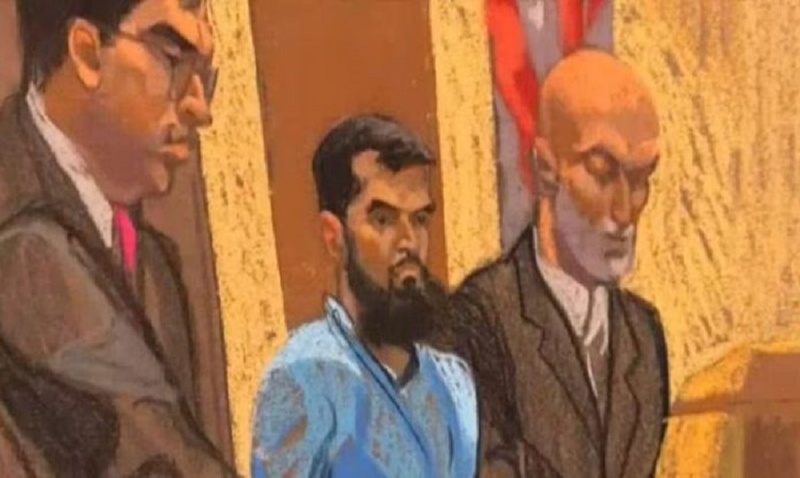 “As alleged, Ahmed sought to take up arms with violent terrorists who have killed numerous innocent victims, including Americans,” stated Acting U.S. Attorney Bridget M. Rohde. “This Office and our law enforcement partners will continue to work tirelessly to arrest and prosecute extremists before they are able to threaten the United States and its allies.” Ms. Rohde extended her grateful appreciation to the FBI’s Joint Terrorism Task Force (JTTF), as well as the U.S. Department of State and the U.S. Customs and Border Protection for their assistance. As alleged in the complaint, the defendant traveled to Saudi Arabia in June 2017, purportedly to celebrate an Islamic religious holiday. Upon his arrival in Saudi Arabia, the defendant attempted to travel to Syria to enter ISIS-controlled territory. The defendant was detained in a Middle Eastern country bordering Syria. Messages sent to third parties expressing a desire to travel to ISIS-controlled territories. An internet browser history that indicates the defendant was researching maps of ISIS-controlled locations. The defendant was handed over to the United States on August 28, and he was officially arrested and given his Miranda Warnings at John F. Kennedy International Airport, also located in Queens. If convicted, the defendant faces a maximum sentence of 20 years in a federal maximum security prison. Book them, remove their American citizenship. Hang all who commit treason against America. They must NEVER be allowed to vote in U.S. elections.